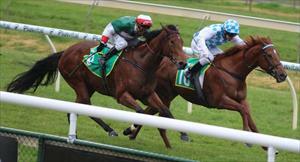 Talented mare Spanks is the sole runner for Ballymore Stables at Pakenham on the synthetic track today. Spanks will jump from the outside in a field of 9 for the Sportsbet Fillies & Mares BM64 Handicap over 1200m and has taken good improvement from her first-up run at Ballarat on July 13. That was the first start for Spanks in over 12 months and Mike Moroney said the daughter of Magic Albert has improved significantly. “She’s certainly improved off that first run, I’ve been pleased with her work and she looks super,” Moroney said. “Obviously drawing where she has is not ideal however, she has good gate speed and I’m confident she can get across. Spanks finished runner-up on the Synthetic course at Pakenham on debut last year and Moroney is expecting a big effort. “Having looked at the field it does not look overly strong and she really has come on for the first-up run,” Moroney said. Spanks is in race seven, scheduled to jump at 4.00pm (aest).